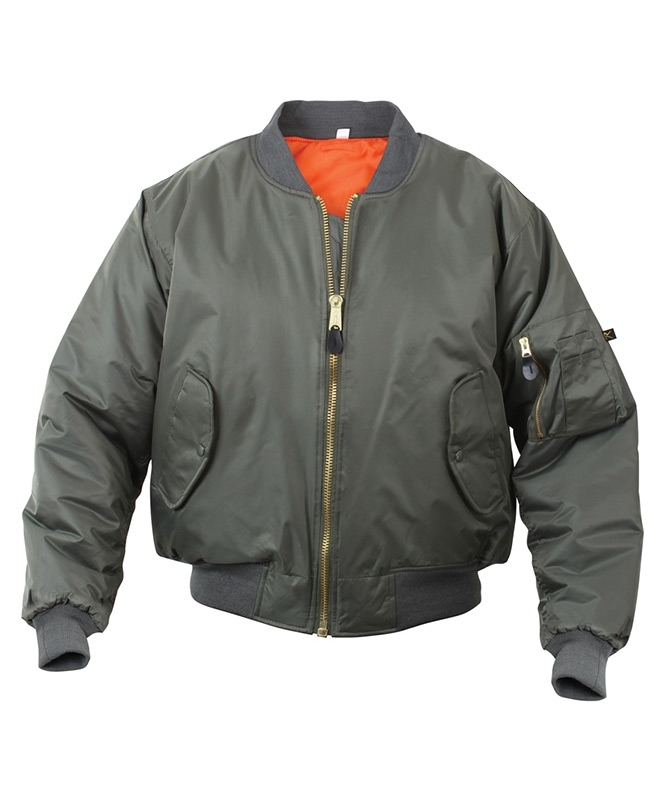 The MA-1 flight jacket was used by United States military forces from 1950 into the early 1980's. It replaced the B-15 flight jacket issued during WWII. The MA-1 was essentially the same jacket substituting a knit collar for the B-15's fur collar, which was too bulky for the modern flying helmets. Though the construction materials have changed over the years this replica from Rothco is essentially faithful to the original MA-1. Features include side warmer pockets with snap closures, inner storage pocket with snap closure, and easy access shoulder pocket with zip closure and pen/pencil holders. Lining is International Orange so the jacket can be worn reversed for emergencies. Construction is 100% polyester outer and lining with heavy duty reversible zipper. The Sage green MA-1 is available in adult SM-3X.